Welcome to the Crystal Suite at the Mayfair Hotel the most gloriously decorated event space you could wish to see. But at Christmas even a space as special as the Crystal Suite deserves a little sprinkle of glamour. We were invited to the venue by our friends at Branch Out Productions who had been asked to create an amazing Slavic fusion look for a luxury brand Christmas party. 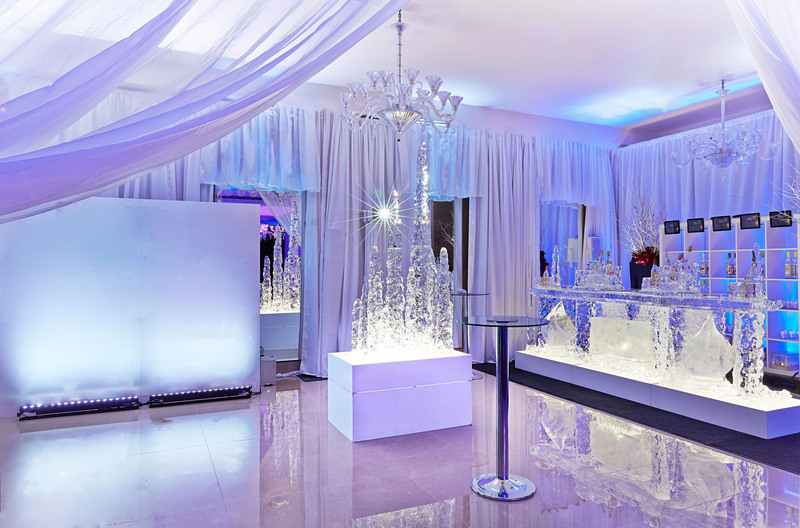 We created the perfect backdrop for the ice bar and other bespoke design elements using Satin drapes at 100% fullness, crystal swags, and yards of voile and organza which gave the air of opulence needed for such a luxurious event.